LastPass - Trusted by drug kingpins everywhere since 2018. As much as I hate the illegal drug market, as with any "freedoms", you have to take the bad, with the good. If any encrypted password manager, smartphone maker or whatever starts compromising these things, it will NOT STOP. The deep state, no matter WHAT COUNTRY, will demand and demand. Privacy is important as well as freedom. Once you start tinkering around with it, because this guy is a bad guy, where will it end? JamesSWD, Mr Majestyk, Godel and 4 others like this. That's it, I owe you at least one beer! "Deep State"? No, you're thinking of law enforcement. Not that law enforcement is immaculate and unimpeachble, but the suggestion that they're involved in some sort of conspiracy to...what, exactly? Randomly harass citizens? That's laughable, if for no other reason than that they almost certainly have better things to do with their limited resources and manpower. I will agree to the extent that creeping law enforcement powers of search and seizure are worrying, and antithetical to privacy and freedom. Black Paper, PEnnn, Hardware Geek and 1 other person like this. While they refused to hand over the passwords (which is impossible as they were encrypted), did they hand over the encrypted password file? Cause while I'm sure the encryption is fairly strong, it could most certainly be broken by a powerful enough computer (which the DEA almost certainly would have access to). The DEA is not law enforcement, it is a Federal Agency. And they have a database of information, giving them your passwords just furthers their deep state. Assume a lowly twelve character random password and that the algorithm has no back doors, and a rate of one billion guesses per second, it would take 75 years to find the password, assuming you only have to test half the combinations before you find it. So I suspect the answer is "NO". The DEA is very much a law enforcement agency. It is a federal law enforcement agency, roughly on par with the FBI. And they have a...database of....information. You realize that most government agencies do, right? From the USPS, to the DMV, SSA, IRS, etc. And your passwords further....the deep state? I have used Dashlane for a couple of years now and from their description of how it works it sounds the same as Lastpass. They also warn that if you forget your master password they cannot help, you have to start from scratch. I think my master password is about 20 characters long so I think in my case it might take a little more than a day or so, not that I sell anything online or have a presence on the dark web. Password?? I'm sorry I forgot it due to my advanced age. The following only applies if the laptop is encrypted and has a T2 chip in it. exhausted, 10 more attempts are available after booting into macOS Recovery. data on the drive becomes unrecoverable. I think you missed the point, it is not about what service or device the person had, it's about how these companies protect user data, your data. 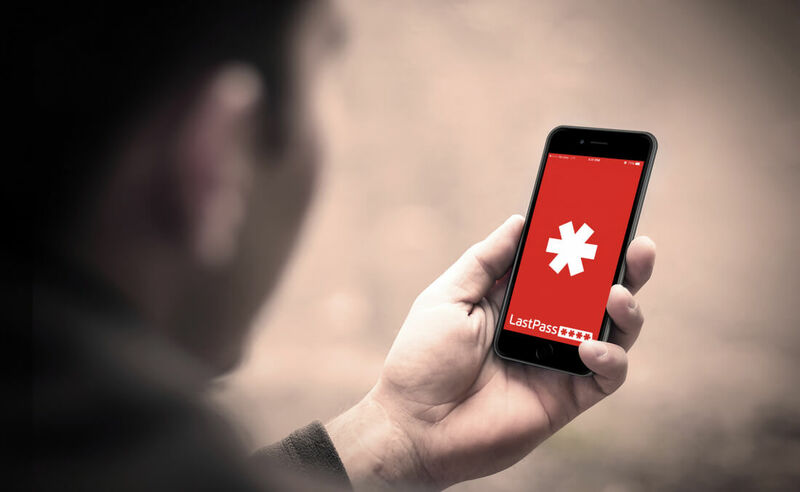 LastPass and other services is to give a service to protect your data without exposing it to anyone other than you. And had you bothered to read my posts, you'd understand that MY point was that in this specific case, LostPass simply said "we won't hand over the passwords - because we can't". What we don't know is whether LostPass DID cooperate by giving out the encrypted file hosted by their server - which the DEA could then attempt to crack on their own. This has nothing to do with any other OS, countermeasures, etc, hence my befuddlement at your original post. It's not the length of your password that's the determinant of how long it would take to decrypt the file, it's the strength of the encryption algorithm. Your master password is just a key used by the encryption system. They're using AES-256 with a one-way salted hash key with multiple iterations. Unless some 3 letter agency has perfected quantum computing without telling anyone, they can have a bank of supercomputers and they won't break that encryption in any of our lifetimes. Kind of like how it doesn't matter how strong a door you have on your house - if I have the key, I'm going to get in! As far as I'm concerned, the DEA, FBI, CIA, NSA and all the other "alphabet" agencies are UNCONSTITUTIONAL...they are basically "federal police" which is technically in violation of the constitution because they were granted authority out of "thin air". Same for the federal reserve, or how we have federal traffic signs, or any federal standards. For anyone interested, LastPass security and cryptography used has been discussed in detail by Steve Gibson in Security Now podcast. You can also go to his page and listen it as MP3 or go to Twit.tv page to watch video of it.